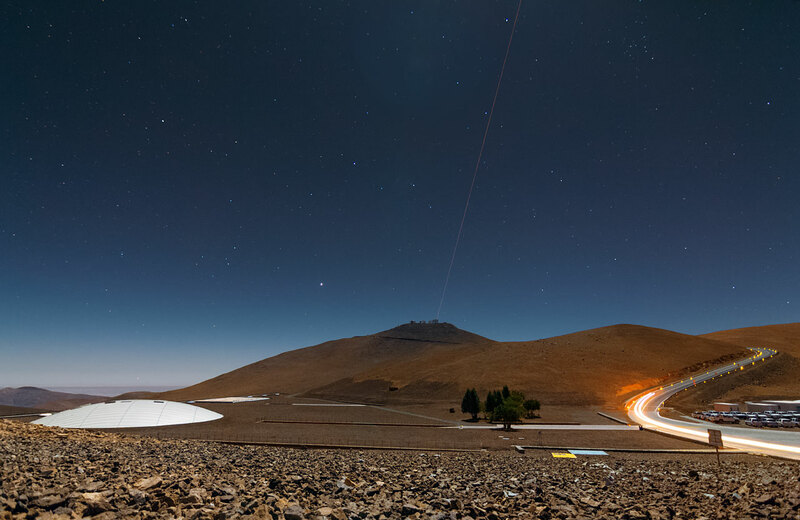 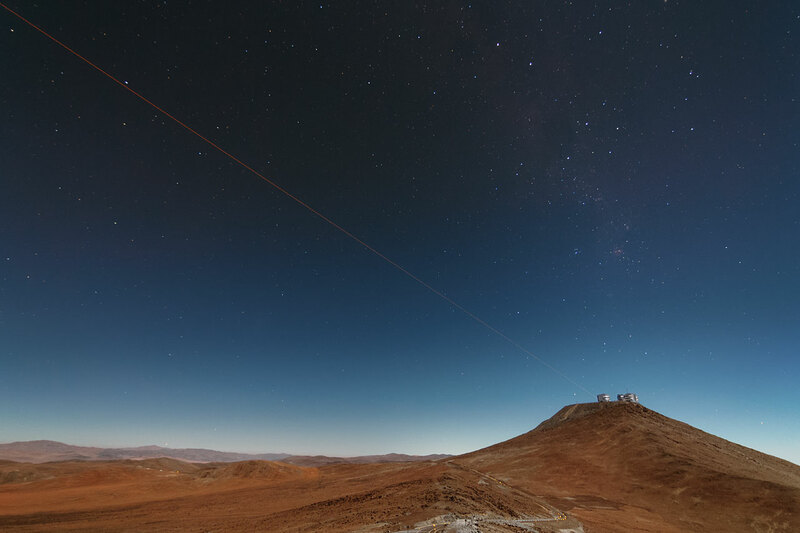 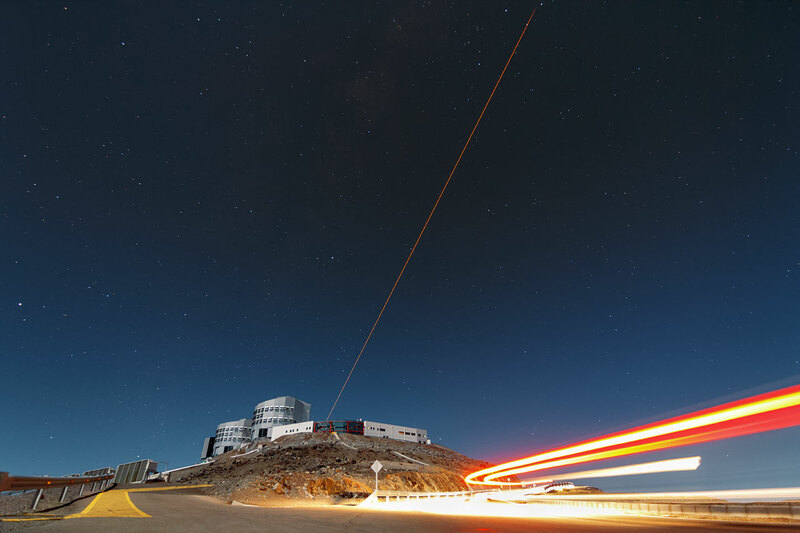 The 4 Laser Guide Star Facility (4LGSF) team have achieved first light with the first of four laser guide star units on Unit Telescope 4 (UT4) of ESO’s Very Large Telescope at Paranal. 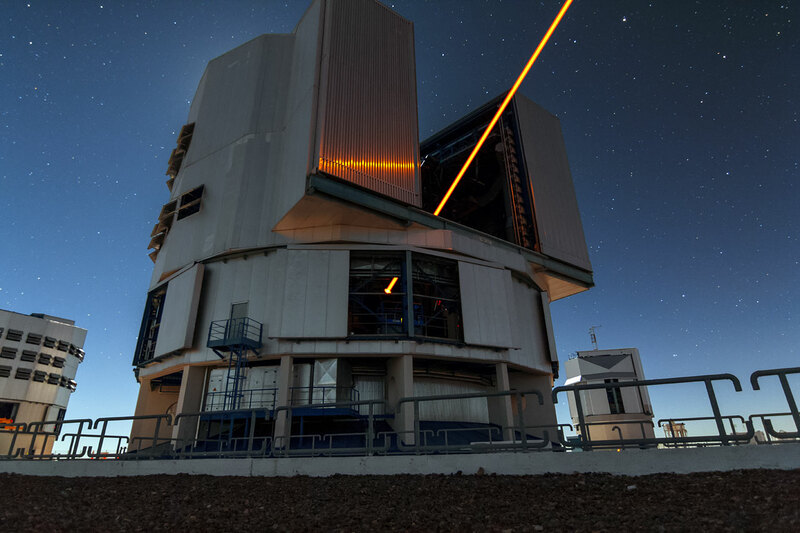 This is a key step on the way to creating the full Adaptive Optics Facility. 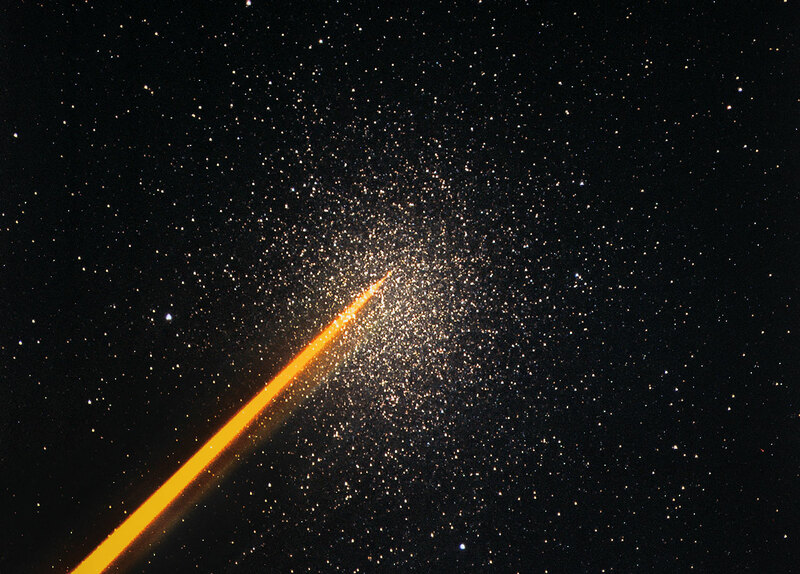 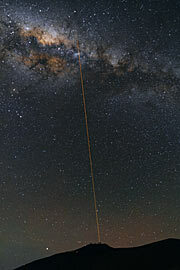 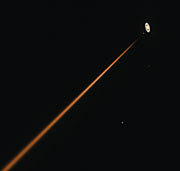 One of the first images of the 22-watt laser being launched, taken by the Laser Pointing Camera (LPC) , shows the intense orange beam pointed at a globular cluster. 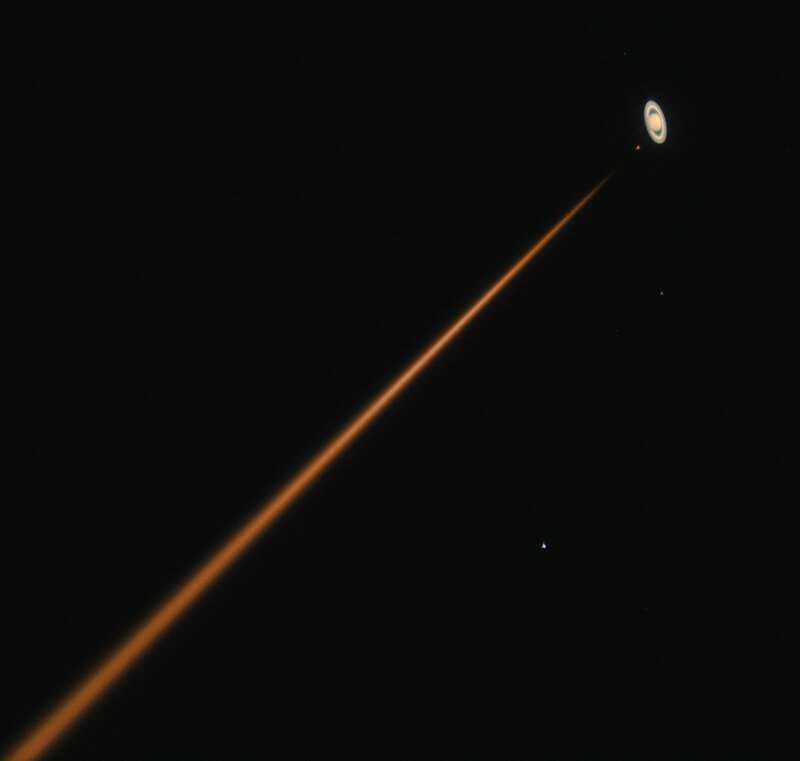 Another LPC image shows the laser pointed close to the planet Saturn. 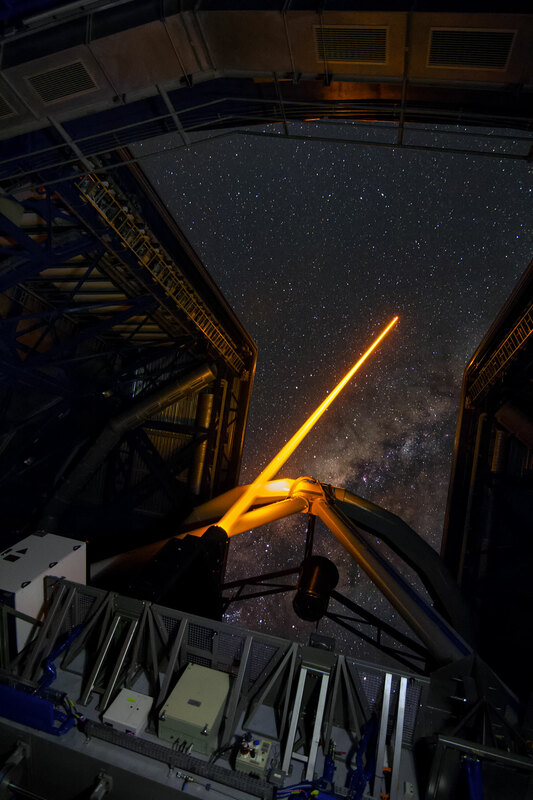 When completed in 2016, the Adaptive Optics Facility will see the UT4 telescope become a fully adaptive telescope providing turbulence-corrected images for all its instruments, without the addition of adaptive modules and supplementary optics. 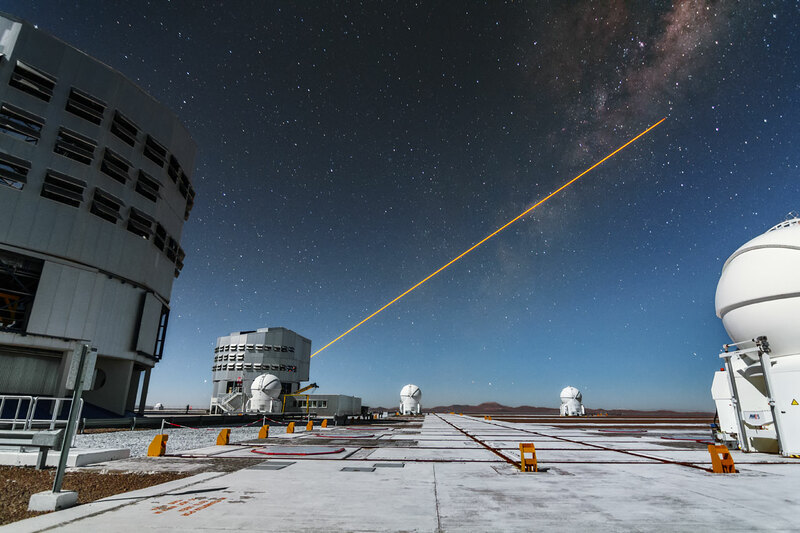 The concept is more far-reaching than just installing a deformable secondary mirror since the telescope instruments have also been optimised to benefit from this upgrade. In the future three further laser artificial guide stars will be installed in addition to the one that just saw first light. 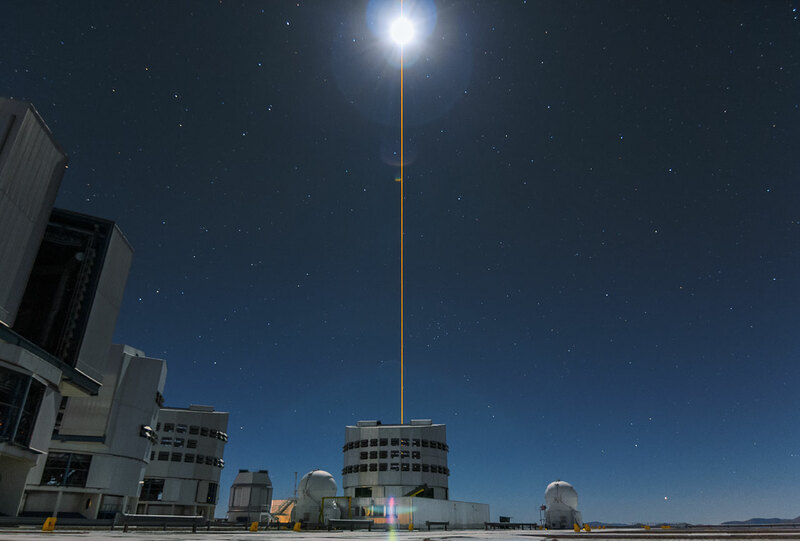 This will allow the atmospheric turbulence to be mapped in greater detail and will allow the telescope to produce even better images.